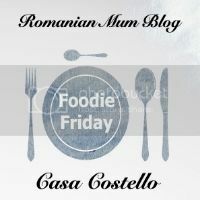 Well, its soon come around to my turn to host Foodie Friday again. 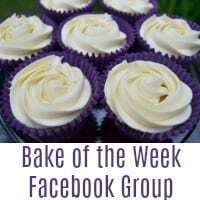 This week it is all things CHOCOLATE! One of my favourite subjects to discuss, I’ll be honest. 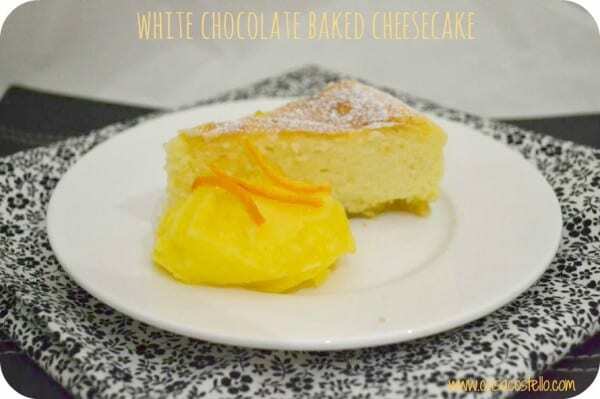 To mark the occasion, I’m sharing my White Chocolate Baked Cheesecake which is just a joy to eat. A fairly quick bake to prepare and cook – I made this yesterday afternoon 25 minutes before leaving the house and got it in the oven (and washed up!) The slow part of this recipe is leaving it alone in the fridge for a minimum of 3 hours (preferably overnight). Its worth it though, the texture really solidifies and makes it fantastic to eat with a spoon. The real beauty of this recipe is that so many flavours, sauces and toppings can be matched with it. Raspberry coulis is a favourite but chopped hazelnuts, dark chocolate sauce, blueberries are all wonderful too. Or eat it on its own! I went all retro with memories of boxed cheesecakes with some mandarin sorbet. Bash the biscuits until really small crumbs and mix the melted butter in while it is still hot. 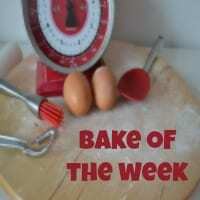 Scoop out 3 tablespoons of the chocolate and spread over the biscuit base in a very thin layer. Allow to set. Pour over the biscuit base and bake for 45 mins on 160C. I put the tin inside another big tin and fill will 200ml boiling water to use as a water bath. The top should just be starting to turn golden and it should have stopped wobbling. Remove from the oven really carefully as the water bath can easily topple over and leave to cool on the side for approx 1 hour. There were some truly marvellous Halloween creations for our last FoodieFriday linky. 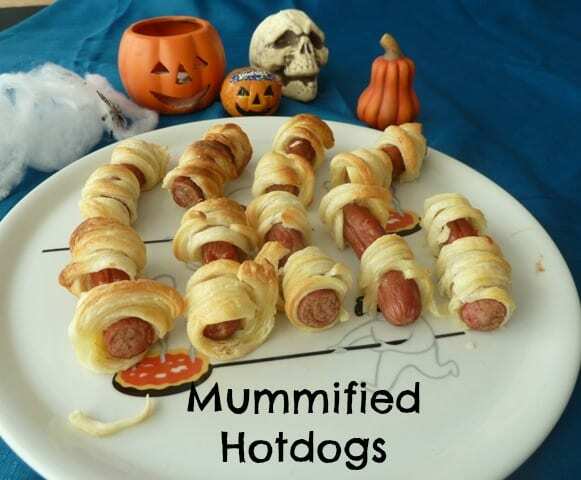 I had a job choosing a favourite but in the end Dragons and Fairy Dust just pipped it with their Mummy Pizzas and Mummified Hotdogs. My kids will have me making those hotdogs all year round. 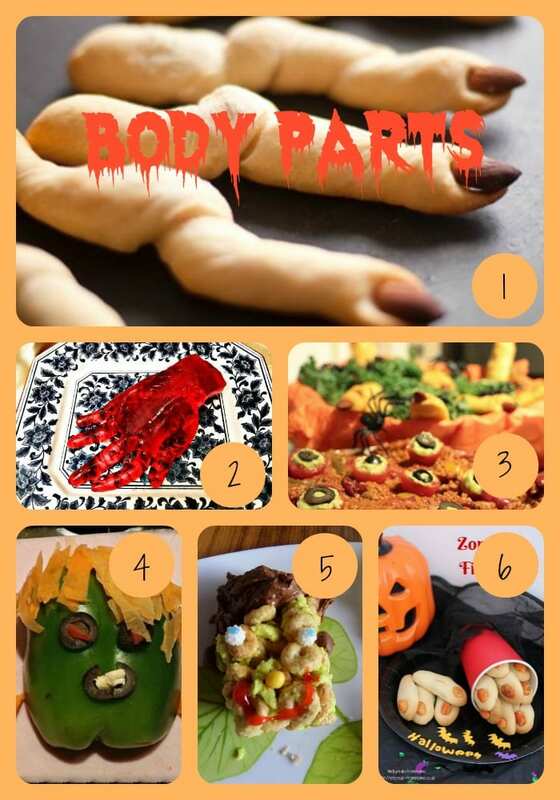 Thanks so much to everyone else who shared their Halloween treats – I couldn’t show every entry but decided to showcase a selection featuring body parts! 1. Dream of Leaving gave us a run down of the Creepiest Halloween food ever especially these Fingers. Ew! 2. I have GOT to make this witches jelly hand next year – in fact, I don’t think I’ll even wait that long. Chez Maxima, that is just brilliant! 3. Even a fiery chilli can be spookified at Halloween with addition of Olive Eyeballs – Love this idea from Given to distracting others. 4. You can still be healthy and scary at Halloween with Monsieur Frankenstein aka A Pepper. Genius! Motherhood Diaries. 6. Some Spooky Zombie Fingers from Eileen at ET Speaks From Home – These still spook me out every time I see them! 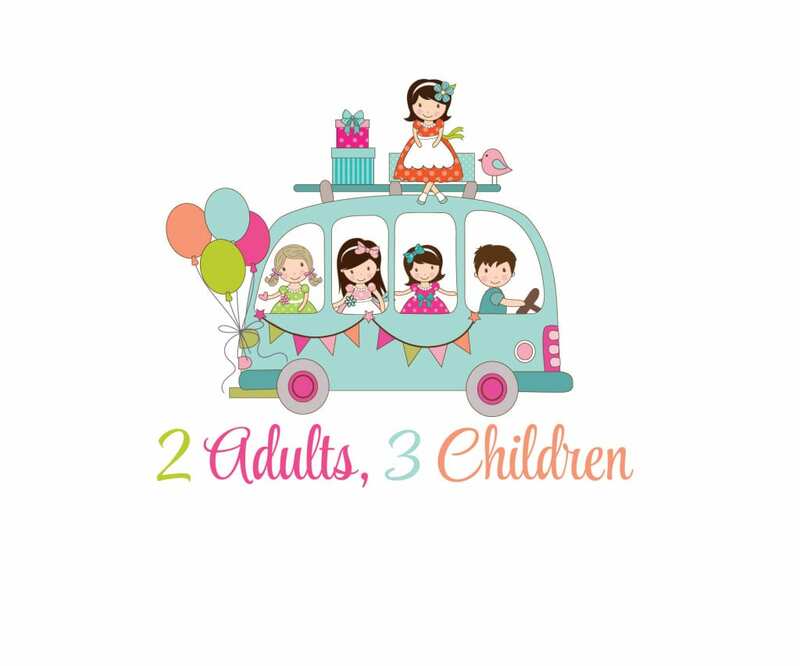 If you tweet, why not tag @CasaCostello and/or @RomanianMum and we will Retweet you. That cheesecake does look gorgeous. I haven’t made white chocolate cheesecake before, and I have no idea why not!